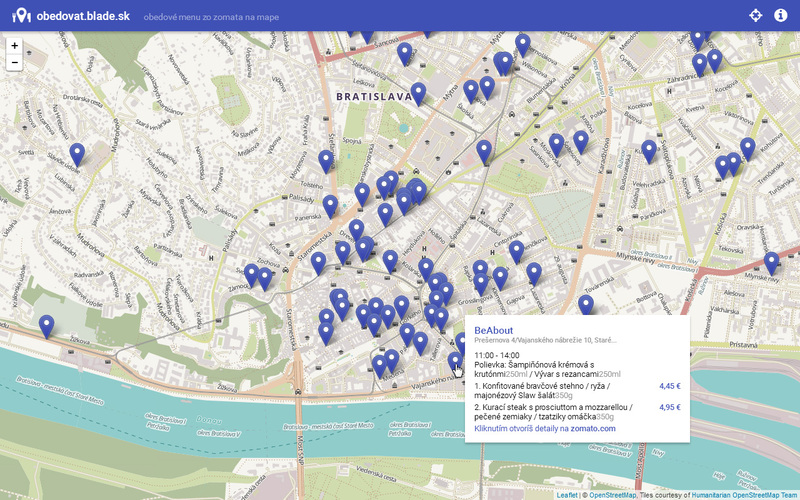 A popular Slovak website with lunch menus was acquired by a larger company and the new website lacked a lot of important features including a map. I decided to fix this by scraping the new website, aggregating the data with their competition's data and displaying it on my map. It was pretty popular until they found out :) But to their credit, they took inspiration and implemented a map later, so at least the scraper served its purpose.